The necessity of mass renovation of the existing multifamily buildings in Bulgaria has been growing pressingly over the last 10 -12 years due to the high share of the housing sector in the overall energy consumption, the steady increase of the energy prices, the poor maintenance of the housing stock and its deterioration, as well the increasing share of households affected by energy poverty. The biggest problems prove to be in the large panel buildings, which amount to 18,900 units in the country and are located in 120 residential complexes. There are 707,441 dwellings in these complexes that are inhabited by more than 1.8 million people. 83% of the large panel buildings are located in the main district cities and in many large cities the panel buildings represent more than 50% of the overall building stock. 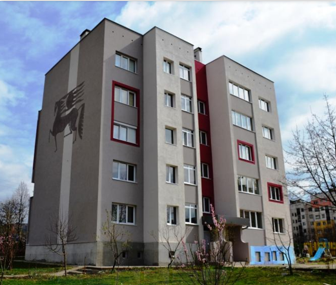 The implementation of the first programs that focused on the improvement of residential energy efficiency started in 2005 with a pilot project for the renovation of 50 multifamily buildings designed and implemented by the Bulgarian Ministry of Regional Development and Public Works and UNDP. The pilot project’s initial design provided for a grant component of 50 %. Habitat for Humanity Bulgaria supported the implementation of the pilot by providing the home owners in 19 buildings throughout Bulgaria with funds to cover their contribution. The European Bank for Reconstruction and Development also launched its Residential Energy Efficiency Credit Line in 2005. It is a credit facility based on a credit line of EUR 50 million and a grant component of 20 % funded by EUR 10 million from the Kozloduy International Decommissioning Support Fund. 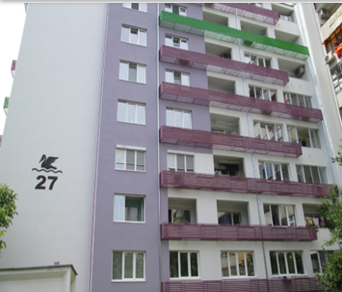 The Ministry of Regional Development and Public Works designed and launched the project “Energy Renovation of the Bulgarian Homes” in 2012. The project’s funding has been provided by the Operational Program for Regional Development and amounted to BGN 63 million (EUR 32.175 million), of which BGN 50,109 million was allocated to grant funding. The grant component was initially set at 50% and afterwards increased to 75%, however the project failed to reach its goals – 158 renovated buildings in a life-span of three years (from 2012 to 2015), the major hold-back to its the success being its highly centralized nature. Habitat for Humanity Bulgaria advocated for de-centralization of the project and the transfer of decision-making and operational management from the central (ministry) to the municipal level. 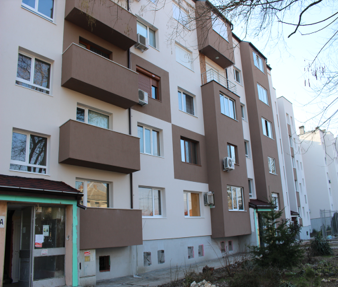 Habitat for Humanity Bulgaria’s proposal has been accepted and adopted in the National Program for Energy Efficiency of Multifamily Buildings launched by the Ministry of Regional Development and Public Works in 2015. The program is funded by EUR 1 billion of public resources for two consecutive years and provides grant funding of 100%. By the end of the first year of the implementation of the program 4,228 buildings have signed contracts with the municipalities, which manage the program, 2,022 buildings have signed contracts for the financing of the renovations, 1,943 buildings are currently being renovated and 261 building have been renovated. The benefits, which the program brings to the economy, the society, the environment and the energy system are indisputable, however there are many areas for improvement and Habitat for Humanity Bulgaria has been advocating for those. The organization has developed and submitted more than 20 proposals for amendments to the program with regard to the amount of the grant funding, the quality of the renovation works, the maintenance of the renovated buildings and the responsibilities of the home owners. Habitat Bulgaria and the Bulgarian Ministry of Regional Development and Public Works have reached a common understanding that the program’s design must include a three-component financial mechanism, which includes: grant component, access to low-interest credits, and financial assistance for low-income households. Habitat for Humanity Bulgaria has mobilized a variety of stake-holders – professional and sectorial associations and chambers, corporates, municipalities and non-for-profit organizations in a national coalition for improvement of the housing conditions, established and led by Habitat for Humanity. The organization has joined resources and capacities and is currently advocating for the betterment of the program and the offset of the political risk imposed by the forthcoming parliamentary elections. Mincho Benov has worked in the fields of the capital market, financial sector and international development as an Executive Director of Sofia Stock Exchange, Director Financial Sector and Capital Markets at the US FLAG Consortium and as a consultant of the World Bank and the European Bank for Reconstruction and Development.Since 2005 to 2010 Mincho Benov ran a residential energy efficiency credit facility implemented through six major Bulgarian commercial banks, funded by a 50 million Euro credit line of the European Bank for Reconstruction and Development and a 10 million Euro grant component, funded by the International Fund “Kozloduy”. He has also run and consulted various investment projects funded by EU pre-accession and structural funds. 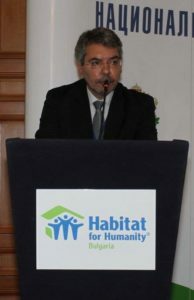 Since 2011 Mincho has been the National Director of Habitat for Humanity Bulgaria.